The economy is the system in which people earn and spend money. It shapes everything from routine trips to the supermarket to major life choices. With honesty, integrity, simplicity, and humor, What Every Child Needs To Know About The Economy explains this abstract concept to young children, helping them to understand the modern world and, more importantly, the adults in their lives. 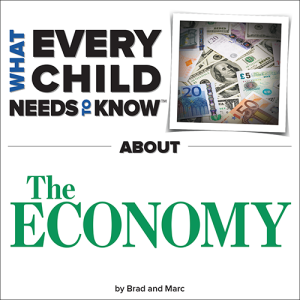 Written by two dads—a child expert and a Wall Street analyst—What Every Child Needs To Know About The Economy is the book for any adult who wants to help young children understand why they might not have every toy they want, why some grown-ups go to work, and why some grown-ups do not.